Highland’s communal experience of worship is vital to our congregation’s spiritual formation. We believe that gathering as a community of faith to worship God is necessary for the worship that is our very lives. Through the diverse elements of worship – prayer, praise, confession, assurance, singing, listening, proclamation, offerings, and exchanging peace with one another – we tune our hearts to the way that God’s transforming Love is moving among our community. 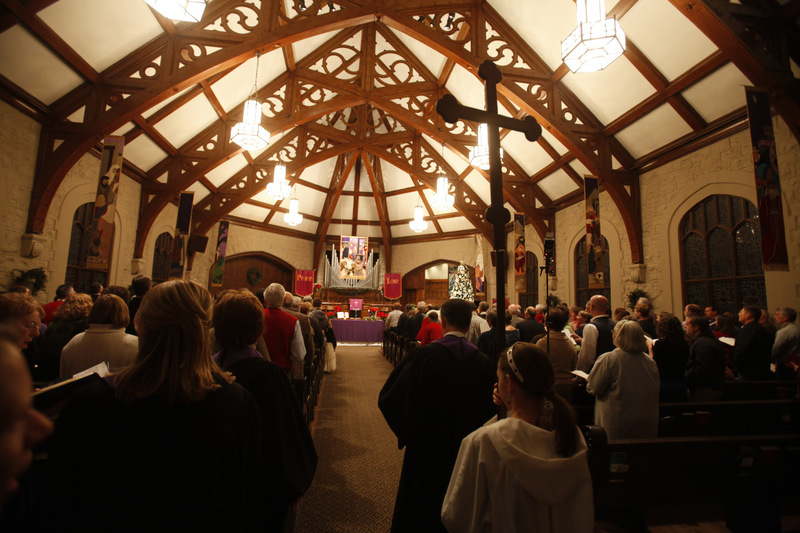 Highland’s worship follows the rhythms of the church liturgical year. The seasons of Advent, Christmas, Epiphany, Lent, Easter, Pentecost, and Ordinary Time give shape to our understanding of the Trinity and the Christian faith. Weekly sermons also follow the rhythms of the lectionary, linking us with millions of Christians around the world who explore the same biblical text together. Highland’s Worship Ministry Group shepherds the congregation’s worship experience, particularly during Advent/Christmas and Lent/Easter. Banners created by current and former members of the Worship Ministry Group adorn our Sanctuary and aid in our interactions with the church year. Highland currently has four services of worship over the course of the weekend: Friday Church on Fridays at 7:00 p.m. and worship at 8:30, 9:30 and 11:00 a.m. on Sunday mornings. Each worship style is unique in its own way; please take a moment to explore these three worship experiences further! We encourage you to come and visit us for worship sometime! For more information about Highland’s worship, contact Kathy Collier.